This tool was originally developed internally for Revit projects where we were producing shop drawings in Revit and also for generating laser cut files. If that's what you are trying to do then this tool could save you a lot of time! Since it is not yet possible to have a single-line representation for the walls in Revit, I wrote this macro for version 2014 [that] takes into account the parameter types of wall Fire Rating. Based on the parameter of Fire Rating are created categories of lines and the corresponding lines are drawn in detail at the center line of the wall (if the parameter is not filled nothing happens). When you need to update the plan views, detail lines are eliminated ... [and] recreated to avoid typos and errors to update. This process can also be adapted for any other parameter present in the walls (transmittance, noise reduction, etc ...), then if you run the command for the first time on a view that contains all kinds of wall you can develop and maintain the standard of representation in a much less expensive and effective [when] compared to [other methods]. If you're happy with my code, please Pay What You Want via PayPal to puntorevit@gmail.com. 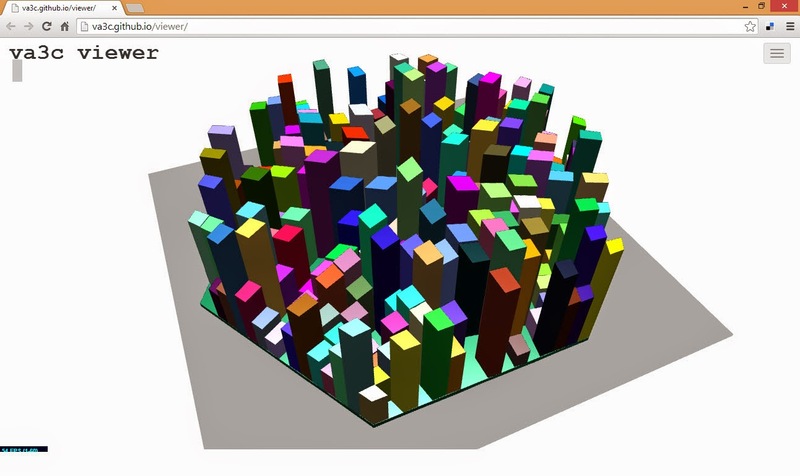 There's more information available on the Punto Revit blog. 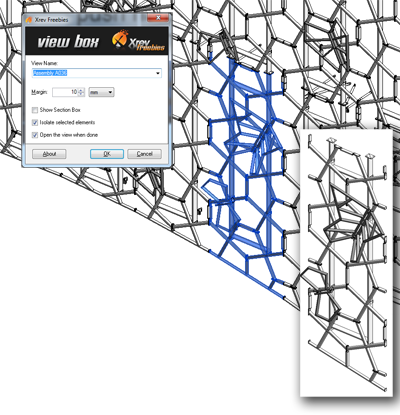 The Award-Winning Kiwi Codes Bonus Tools Add-in for Revit Now Includes 46 Tools! Since I last posted about Bonus Tools in October 2013, Kiwi Codes has released a series of updates, including updating to Revit 2015 and adding the following new tools. 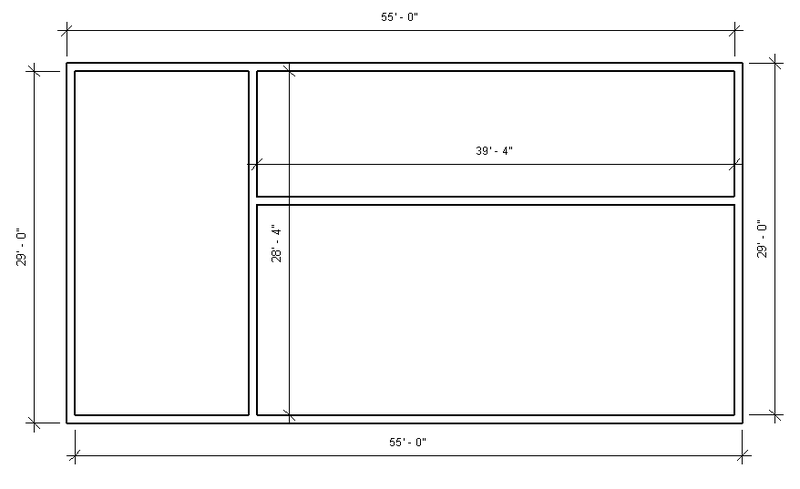 Align viewports on selected Sheets with a master Sheet setup. Copy Parameter Values from one Parameter to another. Choose a parameter from the current element or its host or level, and the parameter to copy it to. Export any Schedule to Excel. Select the Schedule to export to Excel. 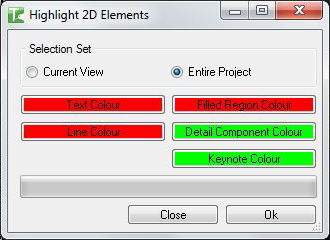 Highlight 2D elements across a project. Check how many 2D patches have been applied to you project. The Autodesk Labs project for creating and sharing screen capture videos, Project Chronicle, has graduated to the free Autodesk Screencast. Scott Sheppard's post on the subject is here on the It's Alive in the Lab blog. 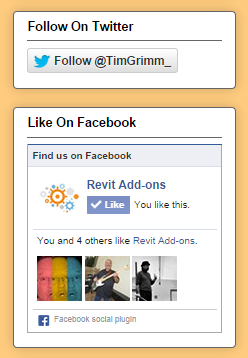 You can now follow Revit Add-ons on Facebook and Twitter. Simply use the appropriate widget near the bottom of the left sidebar! I recently posted about the New Autodesk 360 Tech Preview, including the ability to view over 60 different 2D and 3D file formats in the integrated viewer. 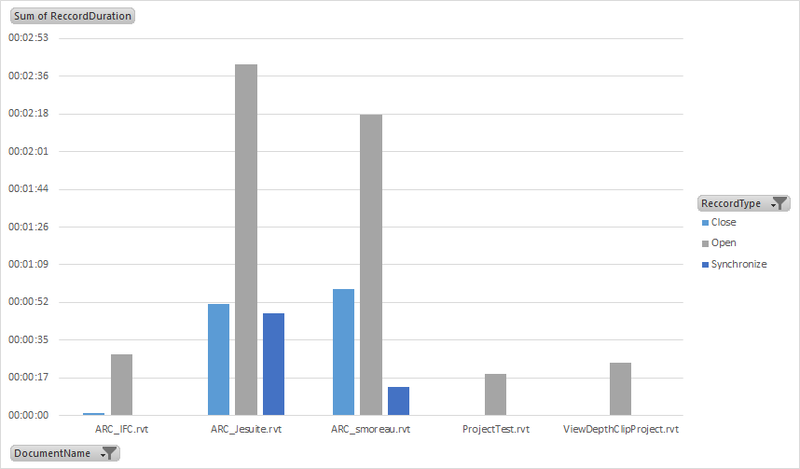 There's an excellent post from Scott Sheppard on the It's Alive in the Lab blog detailing Autodesk's move away from Autodesk Design Review desktop software to the zero client, cloud-based viewing capability of Autodesk 360. 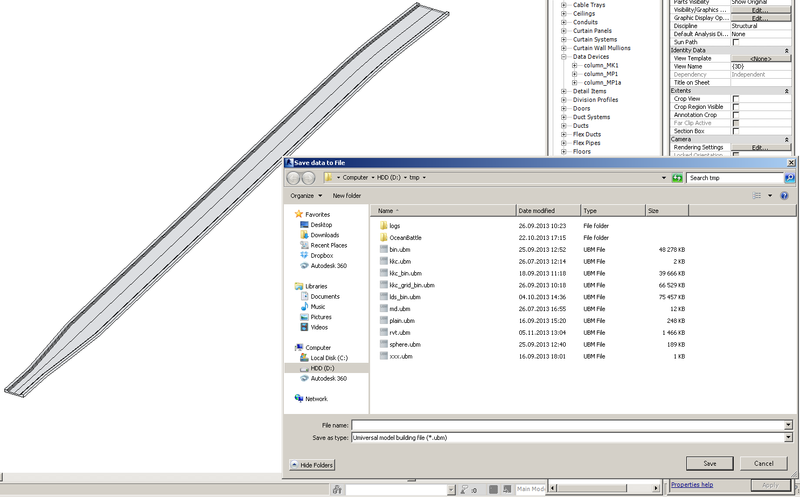 Also, over on his What Revit Wants blog, Luke Johnson details his positive experience with uploading and viewing Revit files on Autodesk 360. Luke also makes the following keen observation: "With features for team communication and wiki, it is obvious that Autodesk 360 intends to be more than just a file sharing and viewing tool." 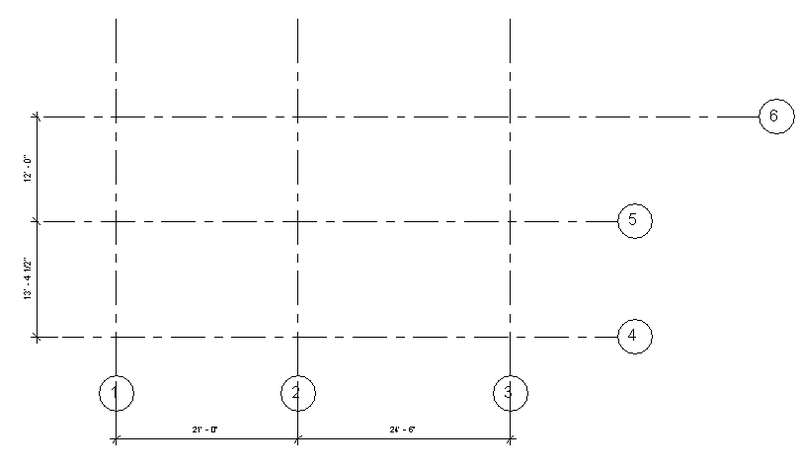 For you DIYers out there, over on his BIM 42 blog, Simon Moreau has posted the source code for a Revit macro to set all scope boxes and reference planes to the Shared Levels and Grids workset. This way it's then easy to turn of these elements in linked files. 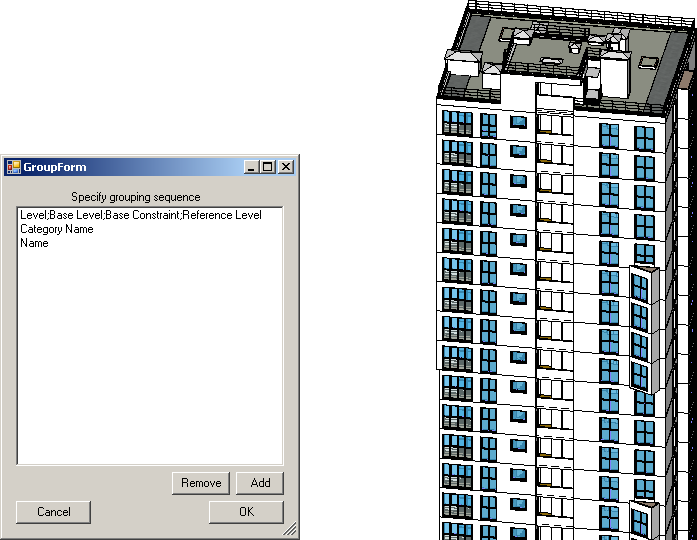 A free Revit 2014/2015 add-in to export Projects and Families to OBJ format. The OBJ files have been tested with 3ds Max Design 2014/2015, Blender and Octane Render. The images show the resulting OBJs from the Revit Sample Projects inserted into Octane Render and Blender. There is the option to export material textures. Texture image files are copied to a ‘textures’ directory based on an XML file listing. A sample XML file is provided. (It is not possible to identify the texture image files from Revit directly). As from Version 1.3 by default now exports as Revit Objects. The exports do take longer. You can however still export as individual polymeshes if you untick the ‘Group Meshes’ checkbox. 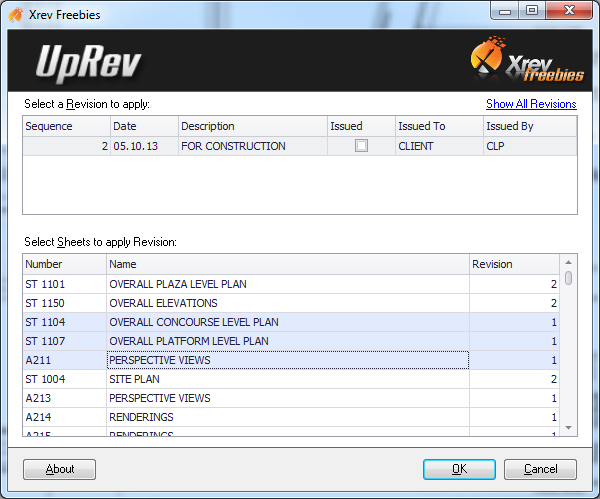 Version 1.3.3 adds the Revit Category to the Element Name and provides a fast Group Option. Version 1.8 has the option to export only the items you have selected. 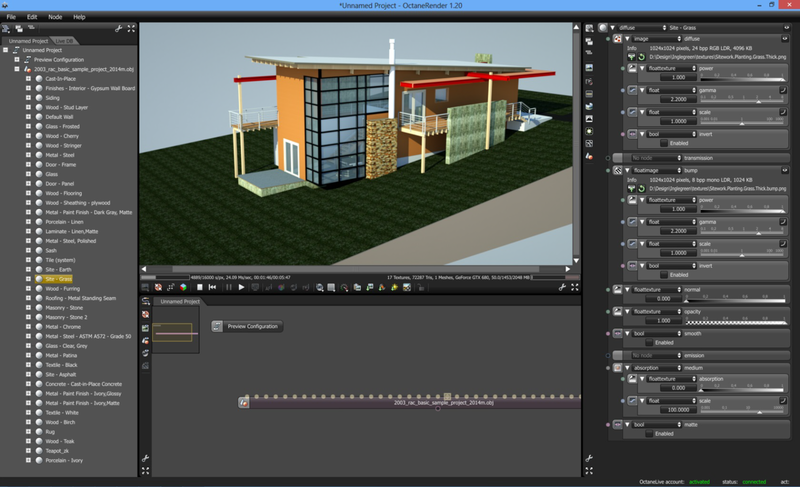 Paolo Emilio Serra has created a video showing the Revit OBJ Exporter in action on his Point Revit blog. There's more information available on the IngleGreen website. You've probably heard about Revit Sundial by now, the cloud-based, hosted release preview that "provides a sneak peek into potential future enhancements for architects and MEP and structural engineers. With more than 35 features and enhancements to try, the preview includes Solon integration for more personalized building performance analysis, sequencing for power circuits, and enhanced rebar tools." You may have also read that this release preview heralded the return of the Inside the Factory blog, following an over 2 year hiatus. To this point, thinking that Revit Sundial was simply a preview of Revit 2016 (! 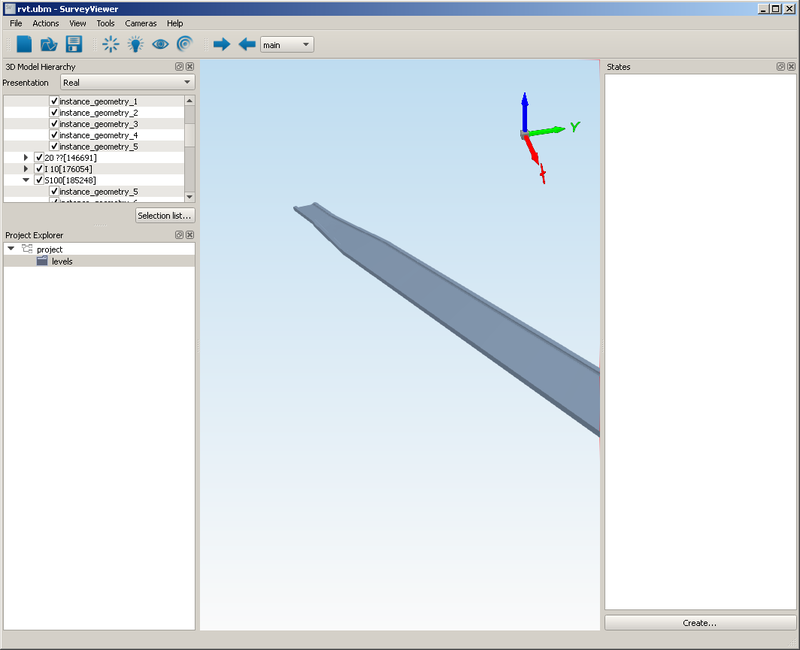 ), I've been quite content to sit back and watch my esteemed blogger colleagues' post about Revit Sundial. What's especially interesting to me though is that when one clicks the What's New link on Inside the Factory, Revit 2015 Help is opened! 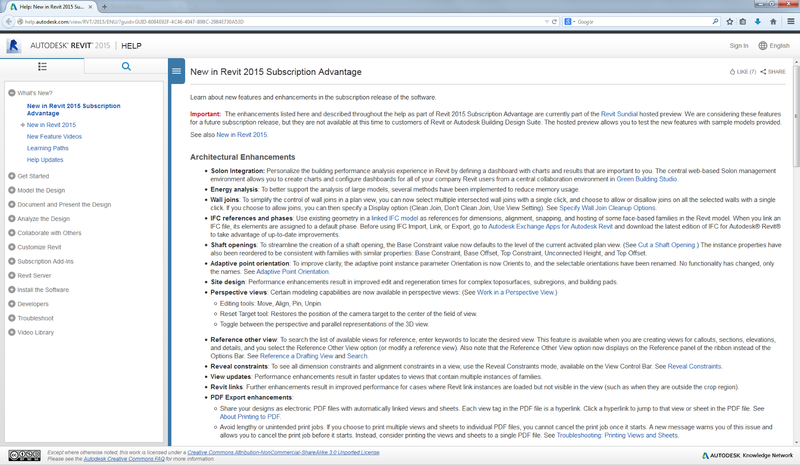 What is then described is a "Revit 2015 Subscription Advantage" release, with Revit Sundial being a preview of features that are being considering for a future subscription release. While I have no inside information on the matter, it seems that Autodesk subscription customers may be in store for a mid-model year Revit release (I don't know if subscriber-only full-on product releases are common from Autodesk, but there is certainly precedent from competing vendors like Bentley Systems). Alternatively, some features may be rolled out as subscription enhancements, which puts this topic in the purview of Revit Add-ons. Again though, I have nothing to base this on, other than what I've already stated. Allows the (re)numbering of any family instance into a text based parameter. Use prefix or suffix values in the numbering. Number family instances by clicking on them in sequence. 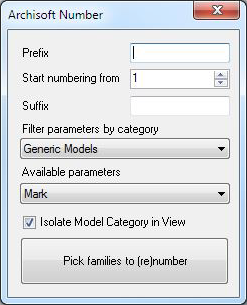 Option to isolate the model category being numbered. Pick categories and parameters from an available list. The Number add-in costs USD 1.99. If you have ever needed to schedule elements by room from a model that did not contain the actual room elements and realized that you were up a creek, this tool is for you. This tool will display a simple dialog box where you select the linked model that you want to sync rooms from and click the sync button! All rooms that exist in the linked model will be either copied into the current model or have their parameters updated if any changes in parameter values for the rooms are detected. The linked model can be in a different location or even rotated, your rooms will come in where they ought to. There's more information available on the Case Apps website. With the Family Upgrade Tools user can upgrade all families from previous version of Revit Architecture to current version. User can choose whole folder to upgrade. You will save time upgrading Revit libraries of different formats (*.0001, jpg, txt...) with just one click. 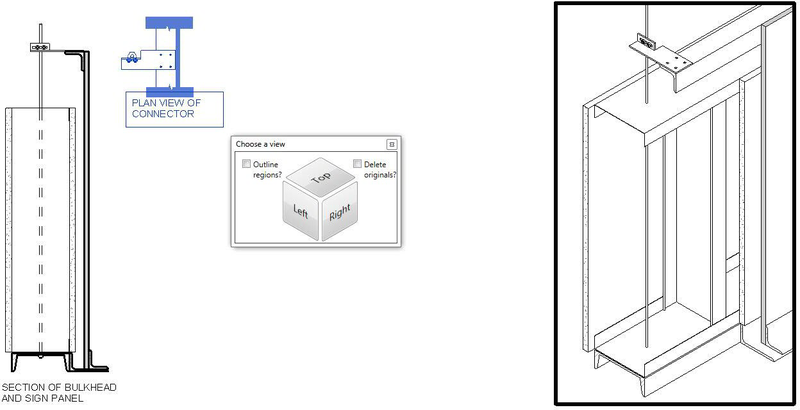 Export current model to Universal Building Model (UBM) format. Format is developed by Lement LLC, NPO Sodis (nposodis.lement.pro), contains geometry, hierarchy, element parameters and states (i.e. flashed, transparented, hidden). Paraline is an Autodesk® Revit® program extension that allows you to convert the detail elements from standard orthographic drawings like plans and elevations into 3D isometric drawings. Editor's note: This add-in may not do all that readers expect. Readers are encouraged to watch the following video. Cost is USD 5.00. There's more information available on the Autodesk Exchange Apps website. 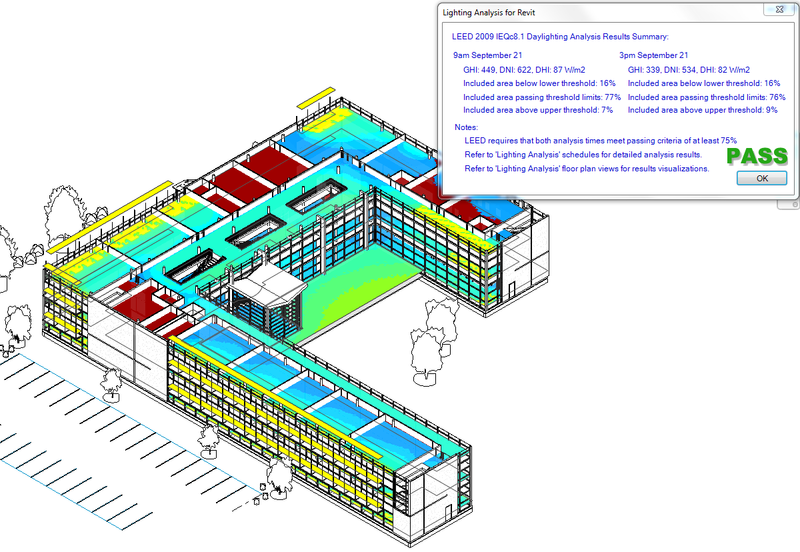 The Lighting Analysis add-in graduated from Autodesk Labs where it was previously known as the Daylighting Analysis for Revit technology preview. Following is a list of the Revit add-ins available on the Autodesk Exchange Apps website that were authored by Autodesk, sorted by date posted or last updated. This application provides an alternate user interface for the export of IFC files from Autodesk® Revit® 2014 and Autodesk Revit LT 2014.